Tarrow added a comment to T213704: Wikidata Tours don't load correctly. Tarrow moved T220995: Cross domain api requests mobile beta from Doing to Peer Review on the Wikidata-Termbox-Iteration-14 board. Tarrow added a comment to T220995: Cross domain api requests mobile beta. Tarrow added a comment to T210293: Add language codes rm-rumgr, rm-sursilv, rm-surmiran, rm-sutsilv, rm-vallader, rm-puter for Lexemes. This is the desired status based on the statement I've got from Product Management. You can see on beta that the merged patch means e.g. rm-surmiran can be used as a code for: lemmas, forms and glosses. From the screenshot and my testing looks like the request is blocked by CORS and then the the response is blocked by CORB. Tarrow claimed T220995: Cross domain api requests mobile beta. Tarrow closed T220952: wdqs-frontend travis jobs failing as Resolved. Tarrow created T221215: Change mediawiki container default password. Tarrow created T221214: Change mediawiki container default password. Tarrow triaged T221213: Create 1.33 release as Normal priority. Tarrow created T221213: Create 1.33 release. Tarrow claimed T220952: wdqs-frontend travis jobs failing. 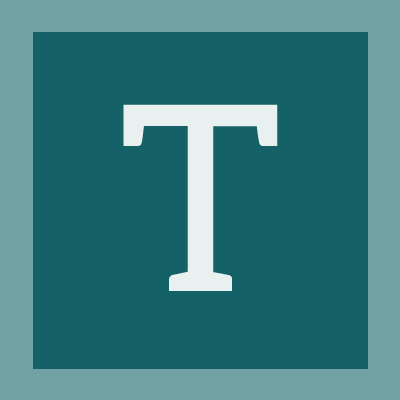 Tarrow added a comment to T220394: AliasesEdit: ensure edits are reflected in the store. https://gerrit.wikimedia.org/r/c/wikibase/termbox/+/504240 shows that perhaps a way towards solving the bug is trying to delay the removeAlias action (and thus the reactive update) until after the focus has happened. Tarrow added a comment to T219499: [Problem] `Special:SetAliases`, `Special:NewItem` and `Special:NewProperty` separates aliases with | character but have no way to make a | part of one alias' text. Wow in minutes .. it took a query on wb_terms >5 minutes to get 50 results only. Same on Query Service. How did you find those? Tarrow created T220983: Hook up cancel event on Termbox to Cancel action. Tarrow updated the task description for T220974: Create new 'cancel' component. Tarrow created T220980: [4h spike] Research how to implement entity rollback on cancel. Tarrow created T220974: Create new 'cancel' component. Tarrow created T220970: Upload Cross Asset or determine use of a font cross. Tarrow added a project to T220952: wdqs-frontend travis jobs failing: Wikidata-Campsite. Tarrow created T220952: wdqs-frontend travis jobs failing. Tarrow assigned T220394: AliasesEdit: ensure edits are reflected in the store to Jakob_WMDE. Tarrow moved T220392: AliasesEdit component: implement UI-only behavior from Doing to Peer Review on the Wikidata-Termbox-Iteration-13 board. Tarrow moved T220396: Label, Description textarea focus styling from Test (Product Review) to Done on the Wikidata-Termbox-Iteration-13 board. Tarrow moved T220396: Label, Description textarea focus styling from Peer Review to Test (Product Review) on the Wikidata-Termbox-Iteration-13 board. Tarrow moved T220396: Label, Description textarea focus styling from Doing to Peer Review on the Wikidata-Termbox-Iteration-13 board. Tarrow updated subscribers of T220396: Label, Description textarea focus styling. I took the "blue" from the mocks (#36c) and I assumed it was supposed to reflect accent50. Tarrow added a comment to T220396: Label, Description textarea focus styling. Tarrow moved T220396: Label, Description textarea focus styling from To Do to Doing on the Wikidata-Termbox-Iteration-13 board. Tarrow claimed T220396: Label, Description textarea focus styling. Tarrow closed T220364: [Bug] First click of save doesn't save changes as Resolved. Tarrow added a comment to T220379: Commiting changes in languages not yet part of the store. @Pablo-WMDE @Jakob_WMDE I heard on IRC that you found performance problems with using spread and replace on the entity mutations. Is that the case? If so I guess we need to use Vue.set but otherwise I think we might want to use spread for consistency, readability lack of dark-arts etc..
Tarrow placed T220364: [Bug] First click of save doesn't save changes up for grabs. Moving back to To Do because it looks like debugging is probably going to need some thought about: T220375 first to be effective. Also want to merge the results of T220379 just in case there is some connection. Tarrow added a comment to T220364: [Bug] First click of save doesn't save changes. I don't know loads about this but I wanted to ask if this need could be met by our existing support with -x-. E.g. could you use rm-x-Q688873 for rm-rumgr? Or is this something that has to be configured for allowed languages? Tarrow moved T220364: [Bug] First click of save doesn't save changes from To Do to Doing on the Wikidata-Termbox-Iteration-13 board. Tarrow updated the task description for T215912: mediawiki - node: add timeout. Tarrow created T220404: Calculate sensible MW->Node timeout once deployed. Tarrow created T220374: Add hover colour to publish and save. Tarrow created T220373: Add placeholders to empty labels, descriptions, and aliases in editmode. Tarrow claimed T220364: [Bug] First click of save doesn't save changes. Tarrow updated the task description for T216987: Allow editing of fields. Tarrow updated the task description for T220364: [Bug] First click of save doesn't save changes. Tarrow created T220364: [Bug] First click of save doesn't save changes. Tarrow updated the task description for T218690: Show each alias in a separate line in edit mode. Tarrow added a comment to T216987: Allow editing of fields. Tarrow added a comment to T219196: We need to use 'assertuser' in saving API requests. Tarrow moved T219196: We need to use 'assertuser' in saving API requests from Peer Review to Test (Product Review) on the Wikidata-Termbox-Iteration-12 ✓ board. Tarrow added a comment to T219997: Soft edit mode for aliases. In our "storytime" type slot I think we said the following. Tarrow moved T219196: We need to use 'assertuser' in saving API requests from Test (Product Review) to Peer Review on the Wikidata-Termbox-Iteration-12 ✓ board. Tarrow added a comment to T220107: termbox blubber prod variant missing dep 'colors/safe'. I tried manually editing the test Dockerfile generated by blubber to run npm ci rather than`npm install`. I was thinking that this might then result in a test failure but this was not the case. Tarrow moved T219196: We need to use 'assertuser' in saving API requests from Doing to Peer Review on the Wikidata-Termbox-Iteration-12 ✓ board. Tarrow added a comment to T220089: WikibaseQualityConstraints test failing on Jenkins CI due to DB text too long for a column error. Thanks for finding and fixing this. Tarrow updated the task description for T219886: Unhappy Editing Paths. Tarrow created T219886: Unhappy Editing Paths. Tarrow moved T219196: We need to use 'assertuser' in saving API requests from To Do to Doing on the Wikidata-Termbox-Iteration-12 ✓ board. Tarrow claimed T219196: We need to use 'assertuser' in saving API requests. Tarrow placed T218576: Sync Label, Description, and Aliases fields with the Vuex store up for grabs. Tarrow renamed T219196: We need to use 'assertuser' in saving API requests from Verify if we need 'assertuser' in saving API requests to We need to use 'assertuser' in saving API requests. Tarrow moved T218576: Sync Label, Description, and Aliases fields with the Vuex store from Peer Review to To Do on the Wikidata-Termbox-Iteration-12 ✓ board. Tarrow added a project to T125050: [Task] Add Scribunto to extension-gate in CI: Wikidata-Campsite (Wikidata-Campsite-Iteration-∞). Tarrow added a comment to T219663: Merge blocker: TypeError: Cannot read property 'Infobar' of undefined. I'm taking a look at this from the WMDE side. Thanks both of you for digging into this. Tarrow created T219613: grant Tarrow access to test-s4 servers. Tarrow created T219375: Handle languages that are no longer supported. Tarrow added a comment to T217243: Add baserevid to WikibaseLexeme API modules. I took a little look at this and I'm not feeling super clear on what the acceptance criteria are. My immediate thoughts would be that baseRevId not equalling the latest id shouldn't immediately result in a conflict. 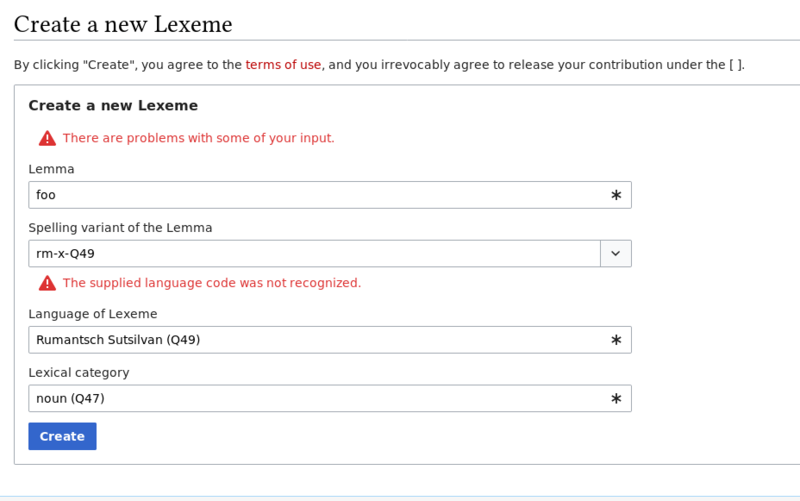 Tarrow committed rEWLEbe9c7e1965b5: lexeme.api: require and check conflict on baserevid param (authored by alaa_wmde). Tarrow moved T218576: Sync Label, Description, and Aliases fields with the Vuex store from Doing to Peer Review on the Wikidata-Termbox-Iteration-12 ✓ board. Tarrow added a subtask for T218980: Fix npm audit warnings: T218979: NPM Audit: get fixed braces version in direct deps. Tarrow added a parent task for T218979: NPM Audit: get fixed braces version in direct deps: T218980: Fix npm audit warnings. Tarrow created T218980: Fix npm audit warnings. Tarrow created T218979: NPM Audit: get fixed braces version in direct deps. Tarrow moved T218111: Respect user specified languages in CSR from Peer Review to Test (Product Review) on the Wikidata-Termbox-Iteration-11 board. Mill <mill@mail.com> committed rEWLE4972a307cd38: $5aaaaaaaaaaaa (authored by Tarrow). Gerrit Code Review <gerrit@wikimedia.org> committed rEWLEbd22b2e5b536: Merge "LexemeView: revision support for getContent()" (authored by Tarrow). Merge "LexemeView: revision support for getContent()"
Mill <mill@mail.com> committed rDEPLOYCHARTSe7a432739c5c: %26eaaaaaaaaaaaa (authored by Tarrow). Gerrit Code Review <gerrit@wikimedia.org> committed rEWBI66965ee5a8d4: Merge "MediaInfoView: revision support for getContent()" (authored by Tarrow). Merge "MediaInfoView: revision support for getContent()"
Tarrow added a comment to T218111: Respect user specified languages in CSR. Tarrow closed T218697: Blubber test build can succeed while production fails as Resolved. Tarrow added a comment to T210615: View historic revisions of entities. Tarrow moved T210615: View historic revisions of entities from To Do to Test (Product Review) on the Wikidata-Termbox-Iteration-11 board. Tarrow moved T215784: wikibase: add revision parameter to termbox requests from Peer Review to Test (Product Review) on the Wikidata-Termbox-Iteration-11 board. Tarrow moved T215786: termbox: take revision parameter into account from Peer Review to Test (Product Review) on the Wikidata-Termbox-Iteration-11 board. wbeditentity for saving and will not generate custom edit summaries. This will result in generic "Changed an Item" summaries for every save. Tarrow created T218697: Blubber test build can succeed while production fails.